Denise Y. Ho is Assistant Professor of Twentieth-Century Chinese History at Yale University. She is an historian of modern China, with a particular focus on the social and cultural history of the Mao period (1949-1976). She is also interested in urban history, the study of information and propaganda, and material culture. Cambridge University Press: How did China’s Communist revolution transform the nation’s political culture? 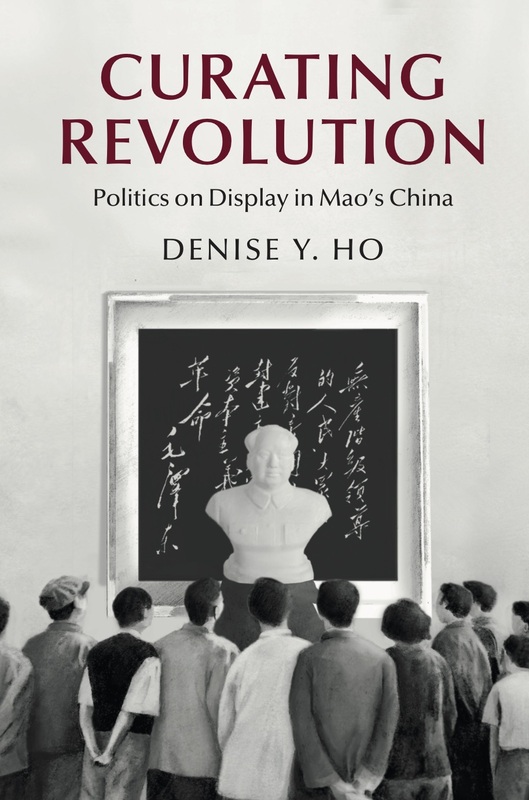 In this rich and vivid history of the Mao period (1949-1976), Denise Y. Ho examines the relationship between its exhibitions and its political movements. Case studies from Shanghai show how revolution was curated: museum workers collected cultural and revolutionary relics; neighborhoods, schools, and work units mounted and narrated local displays; and exhibits provided ritual space for ideological lessons and political campaigns. Using archival sources, ephemera, interviews, and other materials, Ho traces the process by which exhibitions were developed, presented, and received. Examples under analysis range from the First Party Congress Site and the Shanghai Museum to the “class education” and Red Guard exhibits that accompanied the Socialist Education Movement and the Cultural Revolution. Operating in two modes—that of a state in power and that of a state in revolution—Mao era exhibitionary culture remains part of China’s revolutionary legacy.